Most mornings we have coffee on the deck as the sun comes up, and the animals and birds start to wake up and move about. 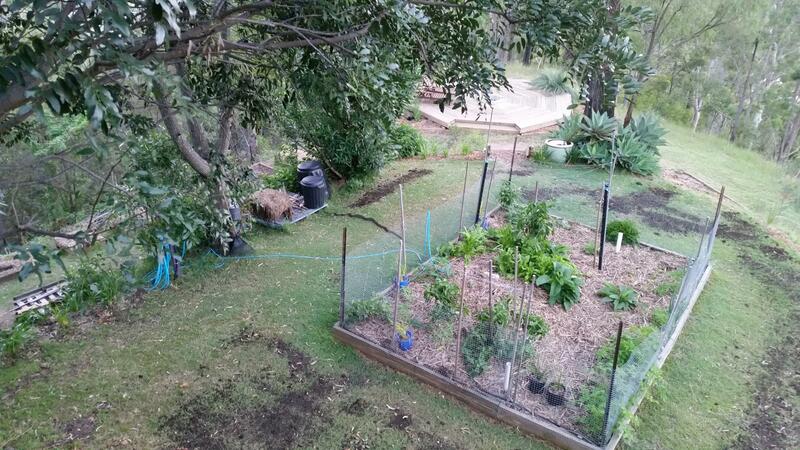 So we were slightly concerned when we spotted this new visitor down near our main vege plot. Our first thought was that a branch had fallen from the Cassia brewsterii… but then we noticed it was not really stick shaped! 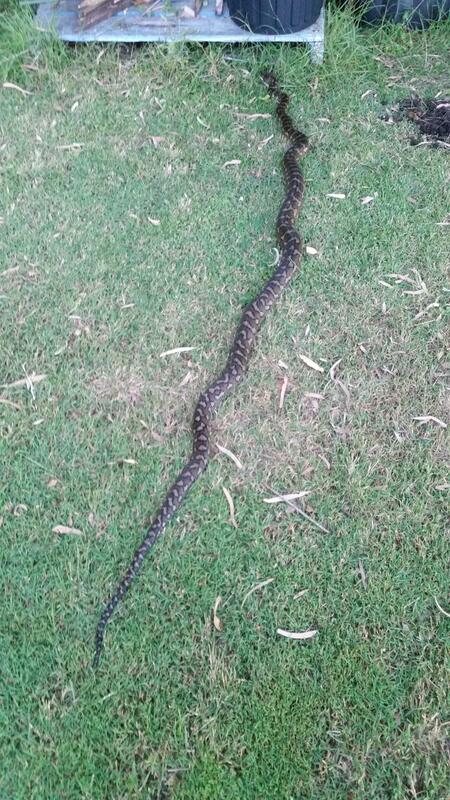 Of course, as we got closer we could clearly see the “stick” was actually a large snake! It was a Coastal Python(Morelia spilota mcdowelli). 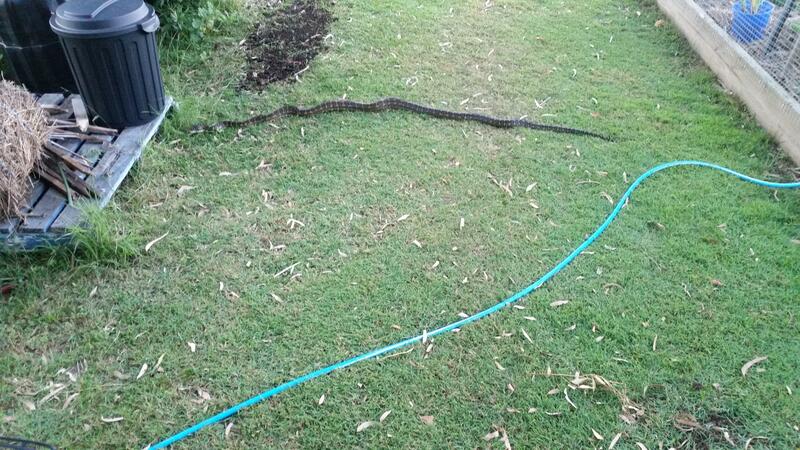 This is probably the same snake we met on the driveway a short time ago. We see very few snakes here and we assume its because we are at 400m and also it can be quite cold here. We have encountered only 3-4 snakes across the almost two years that we have been here. Snakes do not concern us, and most that we see will are very good at pest and vermin control. This Python was most likely hanging around our Compost Bins, looking for mice,rats, or small marsupials. Either way, we let him go about his business. 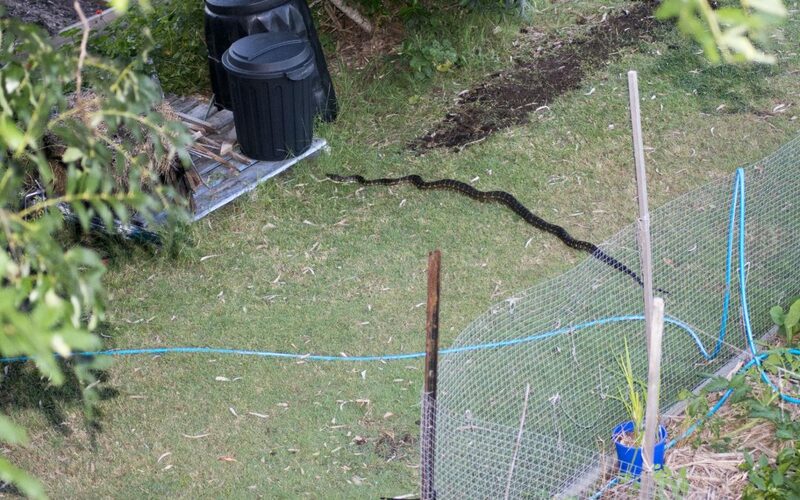 Most snakes in Australia are protected. 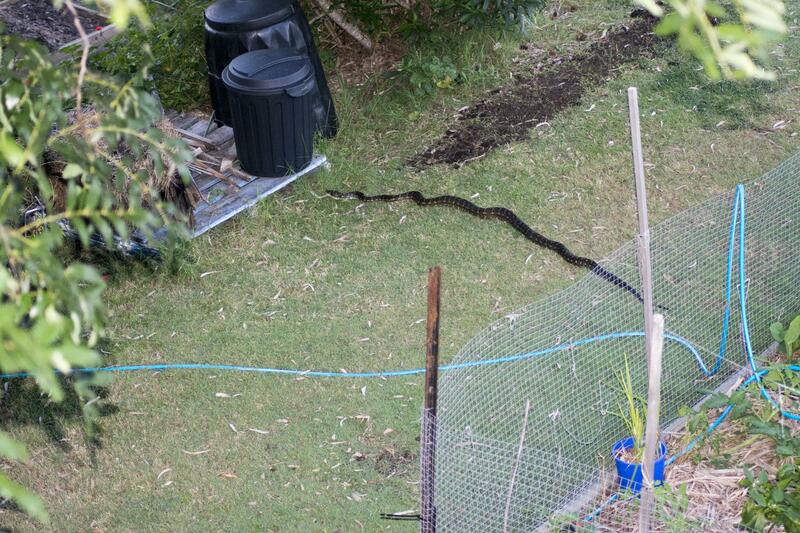 Most snakes in Australia are not aggressive, and just want to go on about their business. Most snakes in Australia are never seen by humans.